A deliciously funny story of friendship and family, full of laugh-out-loud adventures and first experiences of death and loss. 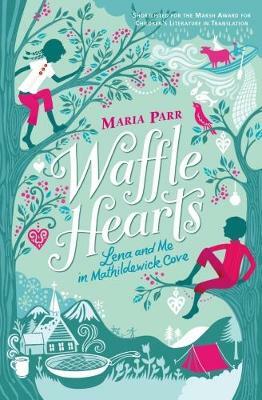 Shortlisted for the Marsh Award for Children's Literature in Translation, Maria Parr's acclaimed debut novel will delight fans of Pippi Longstocking, and is "simultaneously funny and hair-raising ... strong in its sense of place and community, never shying away from the joys and difficulties of friendship, and profound loss" (Book Trust). Nine-year-olds Trille and Lena are neighbours and best friends - at least, Trille thinks that Lena is his best friend, despite the escapades into which she regularly drags him. In the wonderful village of Mathildewick Cove they have plenty of time to re-enact the story of Noah's Ark (or Noah's Shark, as Lena calls it), enjoy the beginning of summer celebrations with their families and even advertise for a new dad for Lena. Trille and Lena will make exciting companions for young readers as they share their fun-filled antics, as well as some important understandings of family and friendship.